Double Dual Action spring hinges permit doors to open in either direction and automatically return to the closed position. 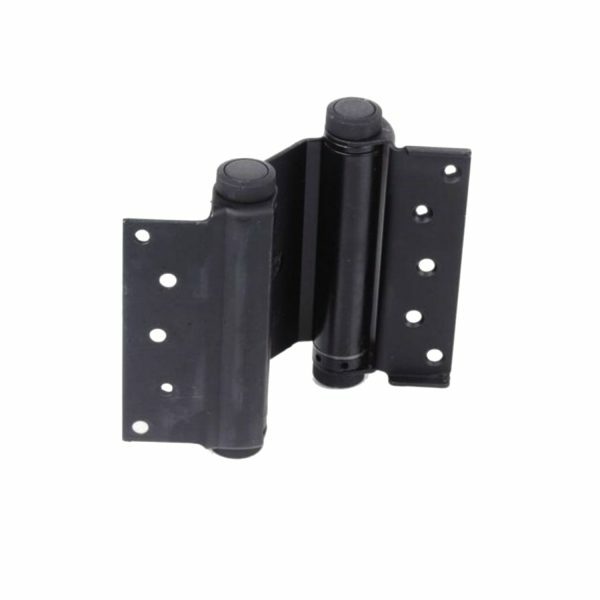 This pair of hinges provide maximum protection for doors subject to normal abuse due to resiliency of spring support and shock absorbing reaction of flexible mounting. 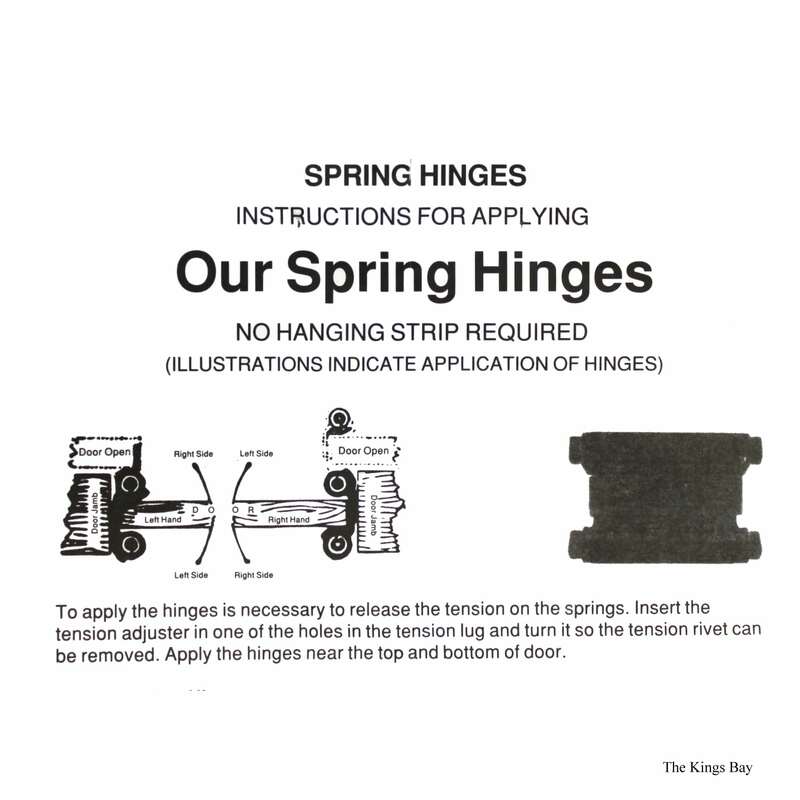 The adjustable spring tension permits power and speed adjustments. 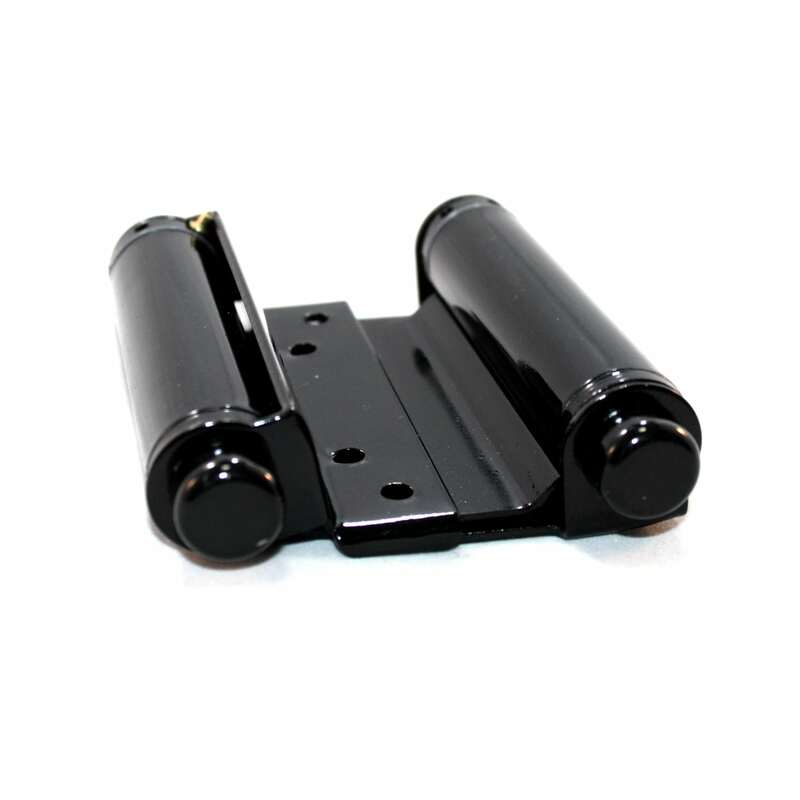 Door flange mortised or surfaced applied to edge of door. 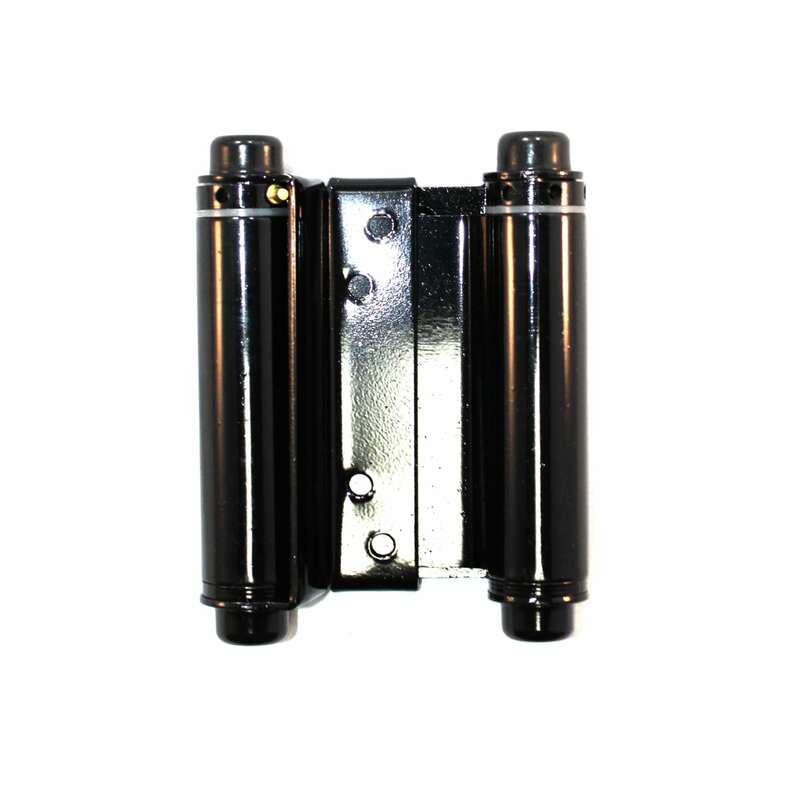 6" Heavy Duty Brass Double Action Spring Hinges Adjustable Tension Pair For Door Thickness 1-1/4"–1-3/4"